Our new ultra-warm MITCH'S SURF SHOP BEANIE! 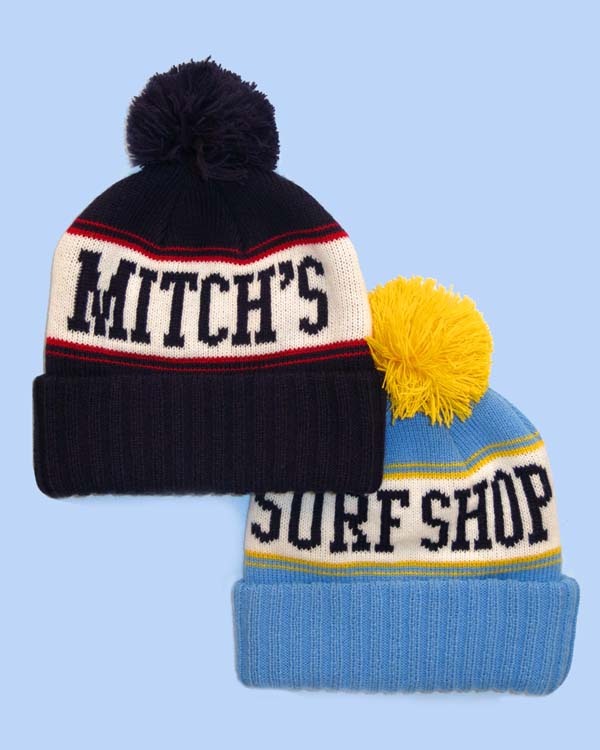 Big thick warm Mitch's Beanie with pom pom on top; wraparound logo reads "Mitch's Surf Shop." Navy Blue, Pale Blue, one size.